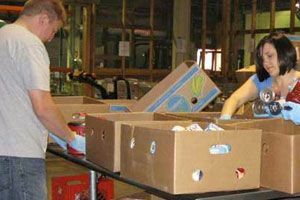 We have listed all of the Ponca City food pantries that we have found. With help from users like you we have compiled a list of some. If you know of a food pantry that is not included here, please submit new food pantries to our database by going to the ADD A LISTING link on the header of our website. We are a 501C3 agency. We do not buy, sell, trade or barter. Everything donated is giving away to qualified persons. A qualified person is low to no income and a legal US citizen with proper indentification and proof. MissionGiving people a hand up instead of a hand out. Due to the low number of listings in Ponca City, we have added area listings below.